Kale is a super-popular vegetable and with good reason! There are also many varieties of kale. It is easy to grow, hardy, tasty, and a nutritional powerhouse. It comes from the Brassicaceae family and is related to cabbage. Why is it good for my body? Kale is an excellent source of vitamins A, C, K and manganese. It is also a good source of fiber, copper, calcium, potassium, and vitamin B6. Where does it come from? Kale is grown and eaten worldwide. Historically, kale has proven to be a food that would grow during harsh winters in Europe since it can withstand temperatures as low as 10 degrees. It is inexpensive so it remains a staple in hard times. What season is it fresh? Kale likes cooler temperatures so it is available fresh from the farm in the spring and fall, often growing right up until the first frost. Because it is so popular, it is available year-round in grocery stores. How do I store and handle it? Store your kale in the refrigerator, and wash it well before use. What are ways to eat it? 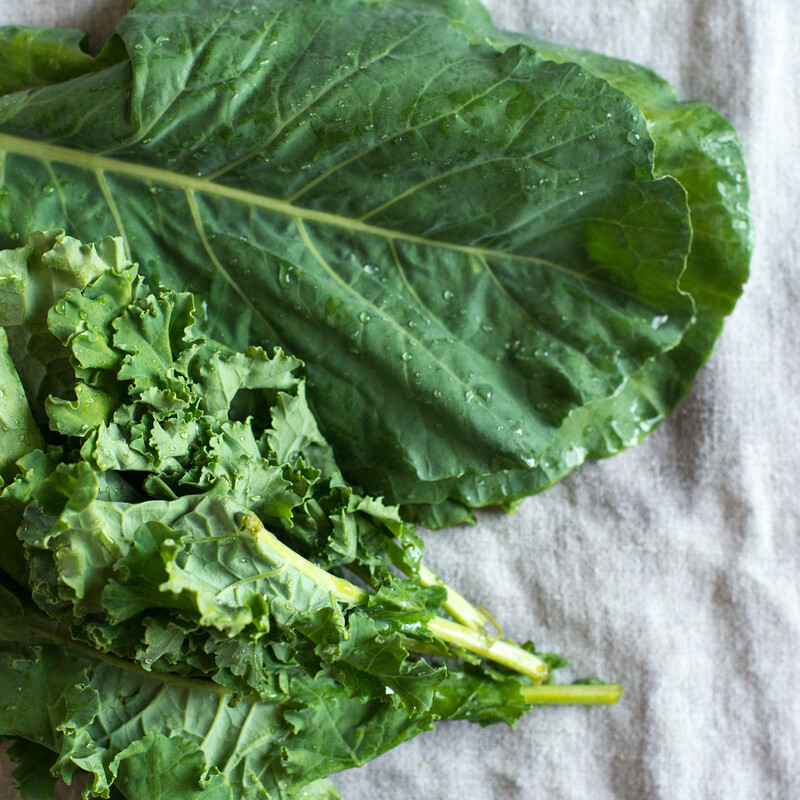 Kale can be eaten raw in salads or smoothies. Kale chips are a favorite in the Yum Kitchen! We also love to add kale to soups, stews, egg dishes, and stir fry.